Though I had dabbled in yoga for many years, it wasn’t until 2004, when suffering from a bad back, that I began going to regular yoga classes. At the time I worked at ABN AMRO in the City of London and the classes were a welcome relief from desk based work, helping to free my body and mind from the restrictions of office life. My back soon improved but that’s not why I became hooked. Though I couldn’t put my finger on it, I began to feel happier and more comfortable living in my own body and I wanted to know more. In May 2008 I completed the British Wheel of Yoga Foundation course, under the supervision of my teacher Mohini Chatlani. At the end of 2008 I took voluntary redundancy, with the intention of broadening my horizons and as part of this I was able to spend more time practicing and studying yoga. Encouraged by my teachers I enrolled on the Triyoga Teacher Training course in November 2009. 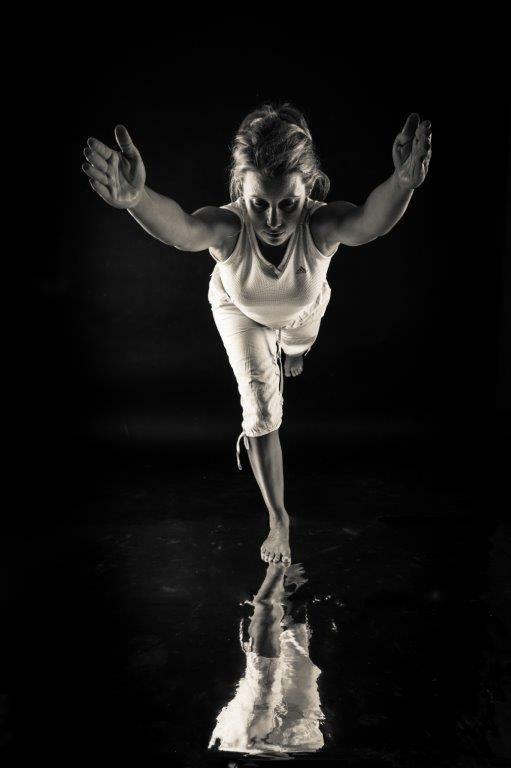 Triyoga is a leading yoga and training centre in the UK. My course tutors for Asana, Pranayama and teaching were Anna Ashby and Joey Miles and the course included the study of anatomy and physiology with Chris Swain and yoga philosophy, Sanskrit and meditation with Carlos Pomeda. I completed the British Wheel of Yoga and Yoga Alliance accredited yoga teacher training at triyoga in May 2011, graduating with distinction. In November 2011 I was thrilled to be asked to take on the role of assistant and mentor for the next intake of trainees. As part of the course I began teaching individuals and small groups from the beginning of 2010 and in May 2011 was very excited to start teaching formal classes in Sidcup. I am now teaching weekly yoga classes in Sidcup, North Cray, Wilmington and Hextable, one-to-one, small group and family yoga sessions in Sidcup, Bexley, Chislehurst and Swanley as well as yoga and meditation workshops which allow students to deepen their practice. In March 2014, I completed a restorative yoga teacher training at triyoga with Anna Ashby and Chris Swain. Since the training I now teach restorative yoga privately here at my home in Sidcup. For private sessions here at my home, I have a dedicated yoga room, with lots of space and all the yoga equipment one could ever need. I love sharing yoga with others and plan my classes around the physical practice of yoga (asana and pranayama), to encourage the body to open and release tension, increasing strength and flexibility as well as meditation and the philosophy of yoga.